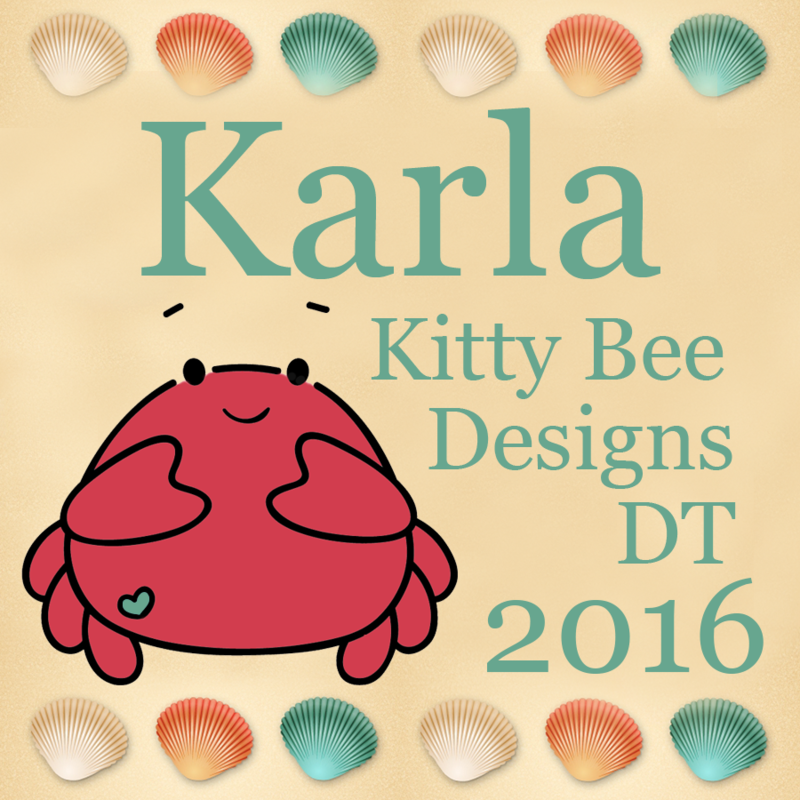 Karla Yungwirth Designs: Pretty Cute Stamps - May New Release Blog Hop! 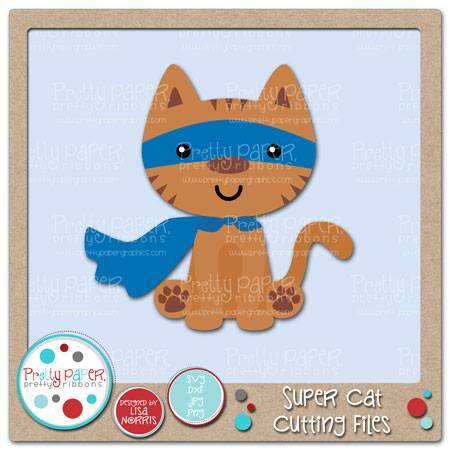 Thanks so much for joining us for the May 2015 New Release Blog Hop, where we are all sharing projects featuring the new stamps this month that are now available in the Pretty Cute Stamps Store. For my project for the hop, I've used the Currently stamp set to create a pocket style scrapbook page, along with the Celebrate Today and Any Better Than This sets! 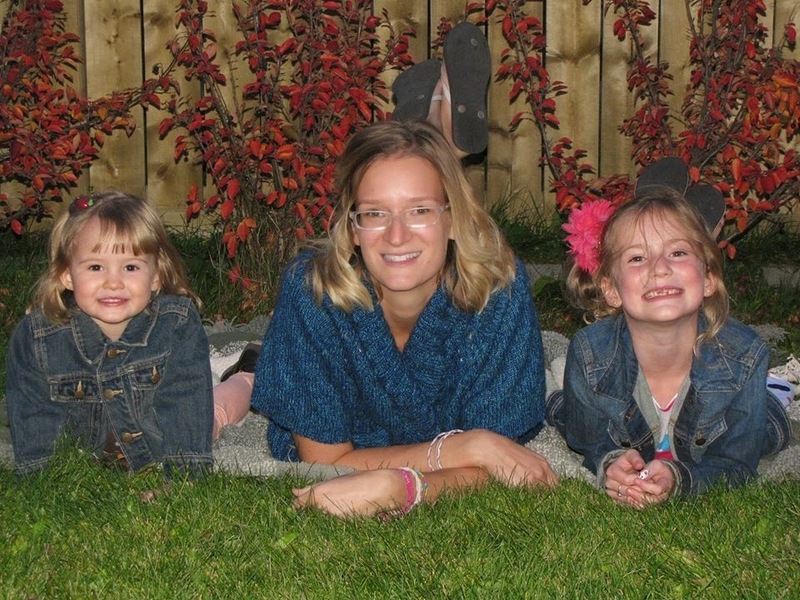 I loved these pics of my girls reading bedtime stories together! Since these were taken Erica has given up her soother and her habit of having to rub a piece of fabric while she sucked on it. It's so cute to look back on her holding Amie's sleeve here. One of those things you never think you'd miss... I used some diecuts from Ruby Rocket and Maggie Holmes and did some paper piecing with the stamped hearts to add to my photos and journaling cards. 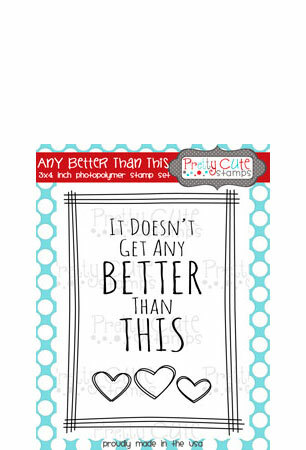 I love the sentiments included in the Currently set!! I used them to stamp directly on my photos as well as my journaling cards. These would be perfect in a Project Life page or on a traditional page to document so many things! I cut patterned papers into 3x4 journaling cards and rounded my edges before stamping them and adding diecuts. For my 4x6 journaling card I stamped the border from the Celebrate Today stamp set and coloured it in with Distress Markers. 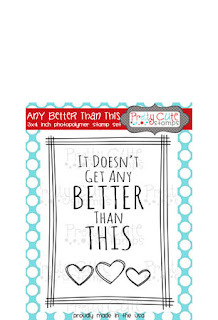 Then I stamped the sentiment from the Any Better Than This stamp set on cardstock, sponged it with Distress Ink and sprinkled it with water to get the droplet effect before layering it on my card. I premade a bunch of journaling cards so I could grab them quickly when I was doing a scrapbook page! A random winner will be chosen on June 2, 2015. ** for an extra giveaway see the end of the post! 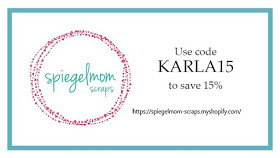 Be sure to check the Pretty Cute Stamps Store to pick up your favorite sets - the New Releases will be on sale through June 4, 2015, and you can save even more by purchasing the May 2015 Stamp Bundle! You can also pick up the SVG outlines for each of these stamps at the store!! There is also a FREEBIE cut file available for today only at the Pretty Cute Stamps blog! P.S. 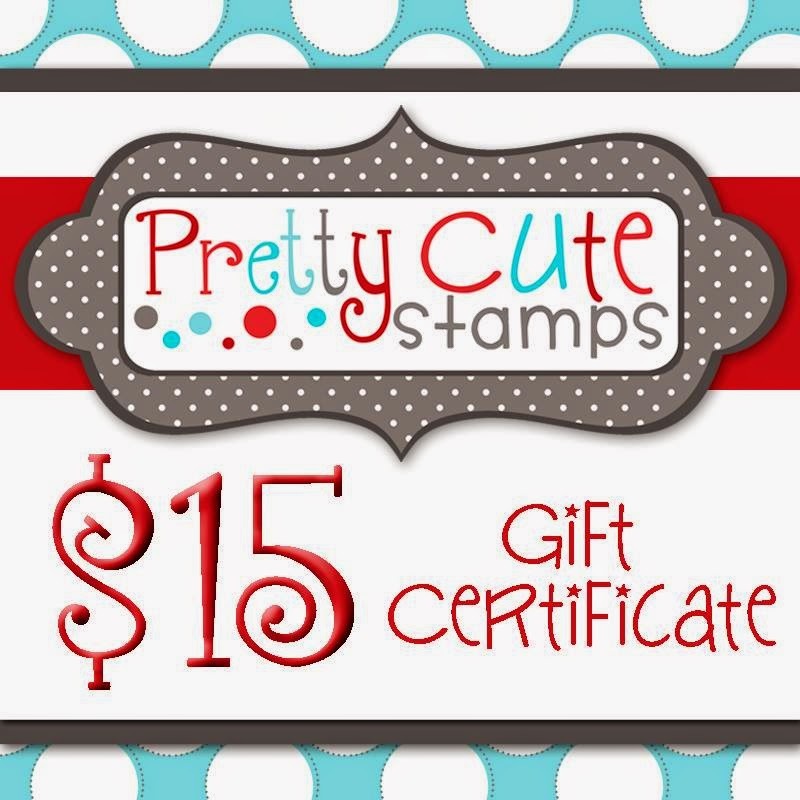 For an extra way to win you can LIKE my Facebook page and leave a comment on the 'Giveaway Post' - I will be giving a random winner a $15 Gift Certificate to the Pretty Cute Stamps Store! You have until 10 am Monday, June 1st MST! 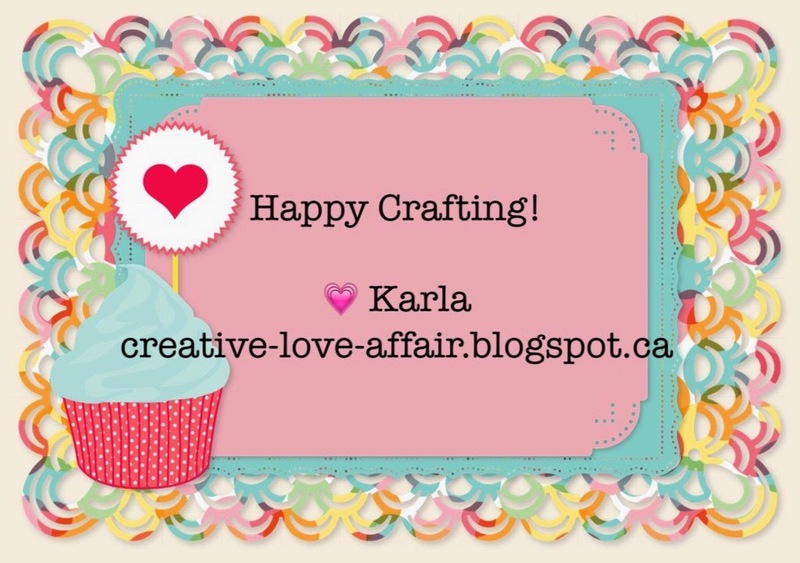 Love your pocket page :) I am a new follower and look forward to seeing all of your creativity! Such sweet photos and I like the journaling cards you made. WOW! How fun is this?! I love your page and all the fun little journal tags:) You showcased the stamps perfectly! Love it! Your layout is SO cute. Love the stamp set-the journal cards you did are fantastic. I also liked the coloring that you did. Oh my gosh! 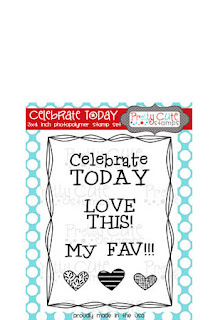 I love these stamps for scrapbooking!! I guess I need to go do some shopping. 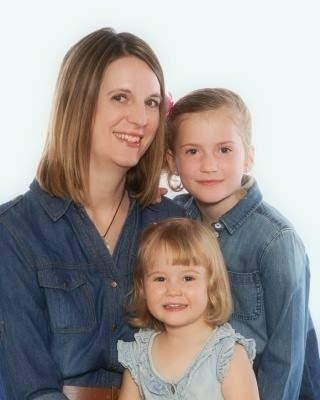 Love your LO, your girls look so cute together.. great memories. super cute photos!! 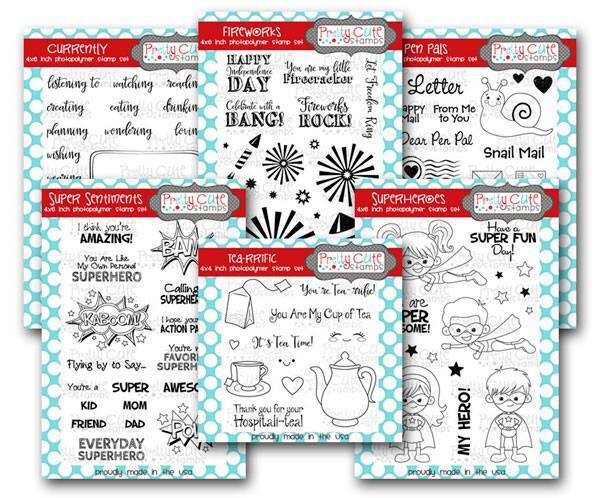 I love how you used the new stamps for journaling cards!! 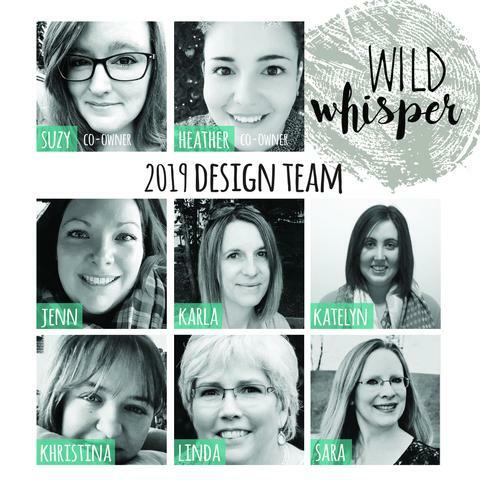 Great Project Life page! 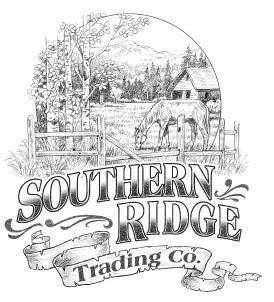 I became a fan of your Facebook page, but didn't see the giveaway post. Gorgeous layout! 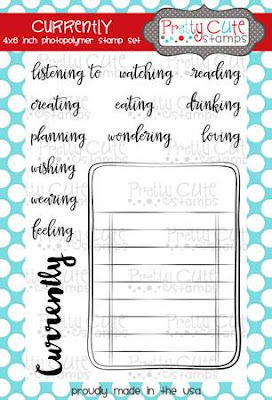 I love those pictures you highlighted and great idea to stamp ahead some cards to use for your journaling---awesome idea! What a beautiful Project Life page! I love what you did with the cards. New follower! Fabulous journal card ideas! Love the idea of having them ready to grab and go! Thank you for sharing! Love your projects! The pictures of the girls are just too cute and the way you used that currently stamp set WoW. So creative. I wish I had all of those sets to make it as fabulous as you did! Great job.